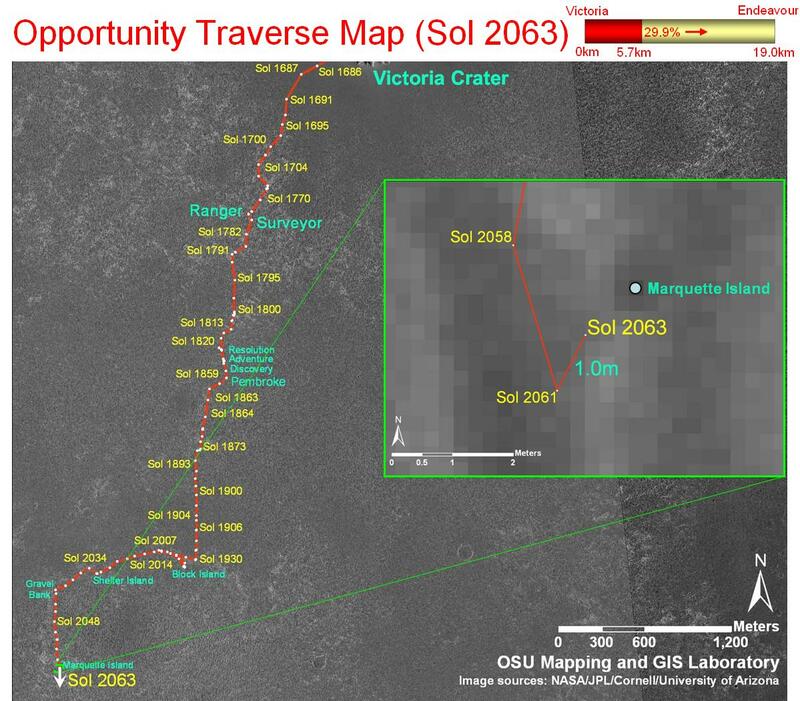 The OSU mapping and GIS Lab has been to develop bundle-adjustment methods for high-precision Mars lander and rover image processing and their application to rover localization and detailed landing-site mapping. The developed techniques and system have been successfully employed in the MER 2003 mission for lander and rover localization and landing-site mapping using rover images. There are two rovers in the mission, Spirit and Opportunity. 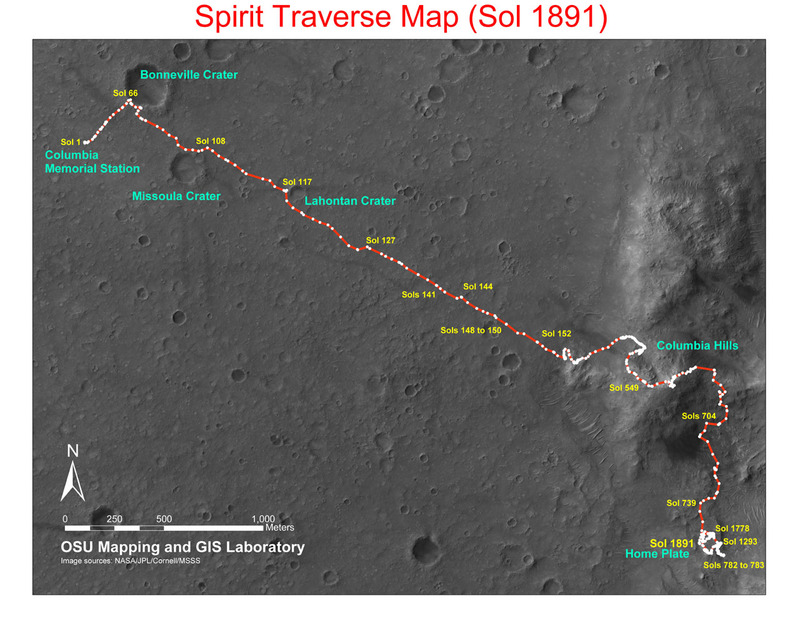 figure 1: the whole traverse maps (as of Sol 1891) and detailed traverse map (as of Sol 1893) for the Mars rovers: Spirit. 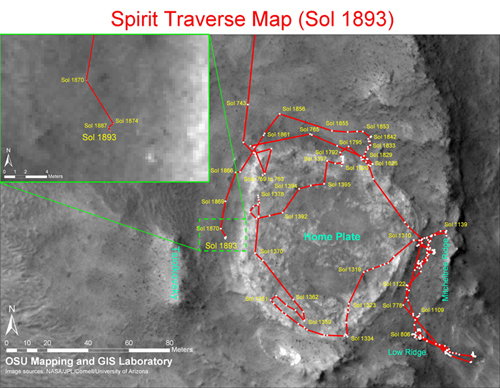 Spirit rover has been stuck in the sand since Sol 1894. After months of spinning Spirit’s wheels in the powdery Martian sand, NASA announced yesterday that it won’t try any longer to free the stuck rover. Instead, the space agency will turn the robot into a “stationary science platform” that could help scientists determine whether the Red Planet has a solid or molten iron core. 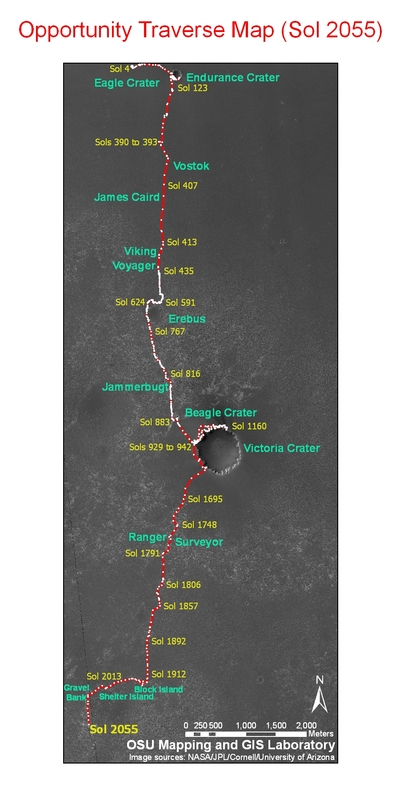 After two years exploring the half-mile-wide Victoria Crater, Opportunity is heading for an even wider destination: a crater 13.7 miles wide. Within the larger crater, named Endeavour, scientists expect that Opportunity would see deeper layers of rock, which would provide more information on the geological past of Mars. The rover needs to drive about seven miles southeast. It is a long shot since that would match its total driving distance since it landed in January 2004.